Magna CEO Don Walker has long criticized what he refers to as the steep costs of doing business in Canada. Canada will likely lose out on yet another assembly plant. 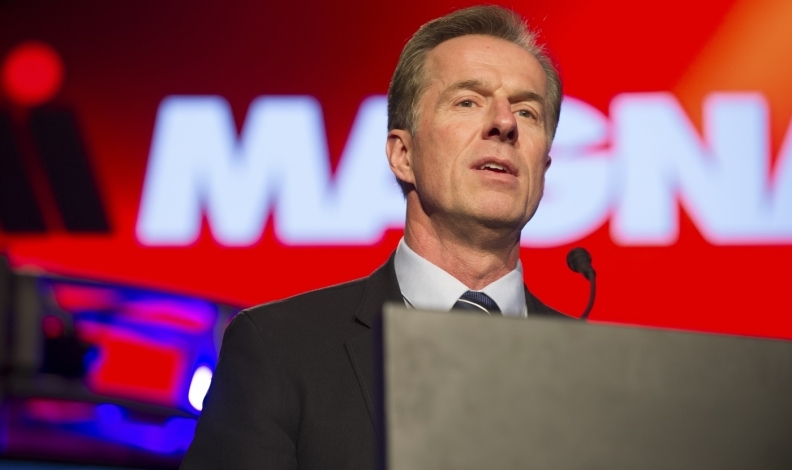 Magna International CEO Don Walker told Automotive News Canada sibling publication Automotive News that subsidiary Magna Steyr could eventually open a plant in North America as its existing operations in Europe reach capacity, but Canada is essentially a non-starter. “Don has said many times that we aren’t adding capacity in Canada. We’ve been maintaining what we have,” Magna spokeswoman Tracy Fuerst said in an email to Automotive News Canada. Steyr is a contract manufacturer that builds vehicles for automakers including Daimler, BMW and Tata Motors. Walker declined to be interviewed by Automotive News Canada, but he has been an outspoken critic of fiscal policy in Canada and Ontario, saying electricity, labour and other costs are too high for the country to attract major investments from automakers and suppliers. new assembly plants since 2006, while Canada has had zero. Kristin Dziczek, vice-president of industry, labour and economics at the Center for Automotive Research in Ann Arbor, Mich., said that while Canada has some advantages relative to the United States or Mexico, including a federal government that takes an active role in securing investments and several world-class research institutes and universities, its disadvantages for automakers have piled up. The Magna Steyr plant in Graz, Austria, is maxing out on capacity as the subsidiary continues to grow. Chief among those drawbacks is Canadian manufacturing’s dependence on trade with the United States, which could make Canada far more expensive when the loonie and U.S. dollar have equivalent value. Walker told Automotive News in August that the company is keeping its options open when it comes to a North American assembly plant, though no decision has been made and it would depend on customer demand. He said the company was aware of brownfield and greenfield capacity in North America. 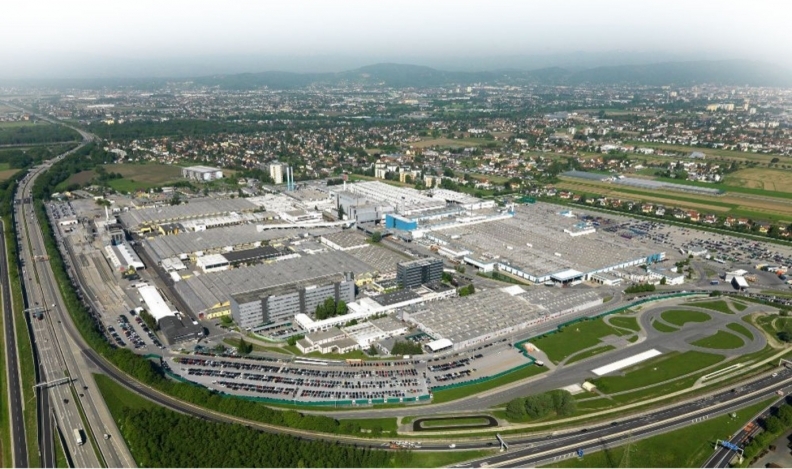 Magna Steyr, the largest vehicle assembly contractor in the world, was projected to build about 200,000 vehicles this year at its Graz, Austria, plant, which assembles the BMW 5 series, Jaguar I-Pace, Jaguar E-Pace and Mercedes-Benz G class. It was also slated to assemble the BMW Z4. In April, it inked a deal to develop a next-generation electric vehicle architecture for China-based automaker BAIC Motor. The Graz site is reaching its capacity, thus the potential for a new plant, said Walker. Despite concerns about Canadian auto manufacturing’s viability, economic-development officials continue to pursue new plants and investments throughout Ontario. Walker has not indicated whether Ontario’s revamped economic policy will have any effect on his decision to rule out Canada for new investment. Economic-development officials in Ontario auto-manufacturing cities, such as Oakville and Windsor, wouldn’t say whether they would try to woo the Magna Steyr plant. A spokeswoman for the WindsorEssex Economic Development Corp. said it is available to assist with investment analysis, help “cut red tape” and provide data for site selection, among other actions. Dorothy St. George, the director of economic development in Oakville said it was “premature” to discuss whether the city would attempt to attract Magna Steyr, adding the company would need to lay out its business case for a new plant.